Finishing is one of the greatest highs in sport! No matter what the result, you have a reason to celebrate. So celebrate your success. Remember, there will almost always be other people involved in your result: your family, friends, training partners, Physio’s etc. make sure you share your celebration with your team as there is not doubt that they will value the result just as much as you and they will want to give you a big pat on the back! Secondly, you have to rest and recover. That may mean doing nothing and eating the fridge or it may mean some light activity. However, now isn’t the time to be smashing out training sessions. 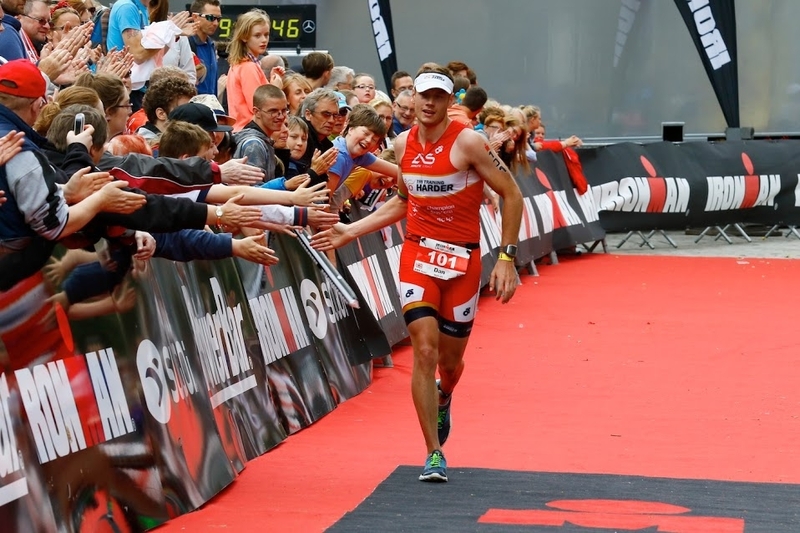 Allow a good three weeks to get over an IRONMAN: it may even be more! The kinder you are to yourself and to the recovery process the stronger you will be as an athlete in the future. Physically, you will do better by taking it steady. If you push now, you stand a good chance of picking up colds, illnesses or injury. Still head to the club session – how else are you going to brag while wearing your new swim cap!? But, be prepared to do more talking than training...help with the timing, do a couple of reps and that is it. You have nothing to prove, your race result will have done that, so don't try and push yourself in the session. There are too many stories of IRONMAN competitors who ignore the need to recover and end up needing to take a long time out due to the fact they have burned out. Superficial aches and pains (blisters and chaffage). Let these heal. There is no need to get back on the training band wagon and training on these sort of niggles will certainly mean you end up changing your gait and compensation movements can lead to injury. Sort out any niggles – you may have had slight cramping or muscles which didn't work properly in the race. This is great information. Speak to your physio and see if you can identify and then address the imbalances that resulted in you moving like that in the race. Get rid of the muscle pain! Massage, rolling etc. a few days after your race is a great way to start the recovery process. Start moving again. Gentle, active recovery first try walking, then cycling and then swimming before finally trying to run! All with low intensity and low duration. Build in your normal training routine, but not hard, just easy workouts with low intensity. Try a few short efforts with some intensity and see how you feel, build into these incrementally. After about a month, you will be in a position to commit back to harder training and feel a lot stronger for it! Finally, you need to consider your mental recovery too. It is common to hear that after a big event (not just an IRONMAN – it could be exams, weddings, Olympic games... etc.) that people can experience low mood and motivation. Everything you have been working towards has suddenly finished and the "now what?" sets in. It is worth putting a social and fun event into the diary for about 3-4 weeks after your race. This will give you something to focus your recovery training towards after your race without being too difficult to get round – you certainly don’t need to get fitter! You should have great fitness which you can take into the event but it isn't about going fast, it is just about enjoyment. These IRONMAN ‘Blues’ can be dangerous, you end up signing up for an event without duly considering if you want to do it, or if you have the time and/or your support team has the desire to help get you there. If you look at the reason why you are getting 'down' about finishing an IRONMAN, we suggest you review our first point – celebrate your success, then make a calculated purposeful decision on what your next step will be. By making that move from a positive place, you will end up with a much better plan for the next season. You can also download our recovery training plan here.